WizKids is all about efficiency. Like for HeroClix , you get your minis already assembled and painted. That sort of efficiency goes all the way to their press releases. Like here, we've got the announcement about a new Dungeons & Dragons board game as well as a new set of Dungeons & Dragons miniatures. The game is called Assault of the Giants. It's designed by Andrew Parks and seats 2-6 players. Take control of one of the 6 types of giants and fight it out to see who should be in charge of all of giantkind. Use your giants to assault settlements in order to get resources like food, treasure, ore, and runes. 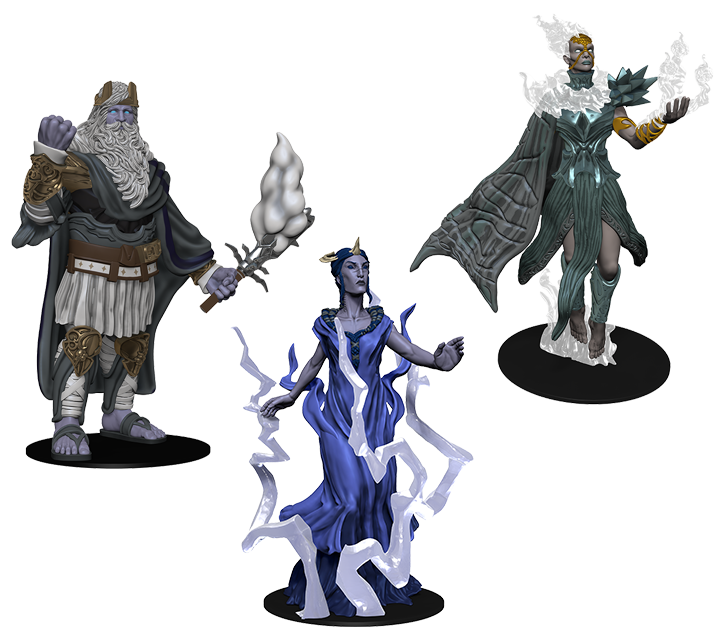 As for the miniatures, they represent characters in Wizard of the Coast's Storm King's Thunder storyline event. This is the fifth set in the Icons of the Realms line, bringing 44 new miniatures to the ranks of available figures. The miniatures are due in stores in September, but you're gonna have to wait until Spring 2017 for the board game.